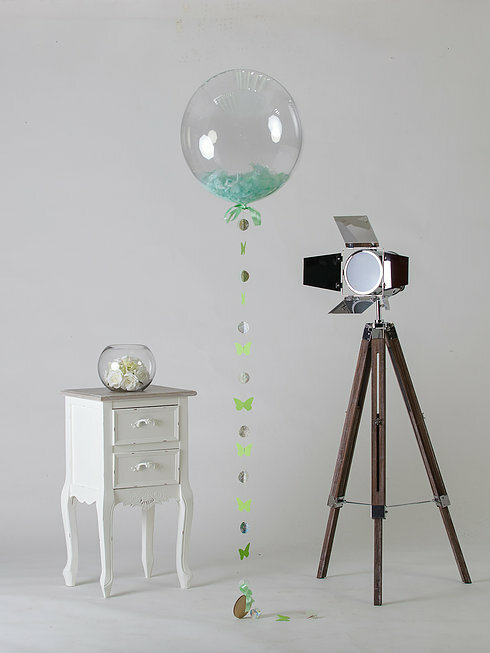 This lovely mint feather filled balloon attached to a round green and butterfly tail makes a great gift. 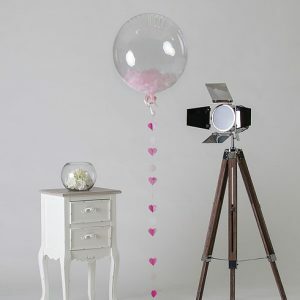 From Baby showers, to birthdays and christenings, it is special. 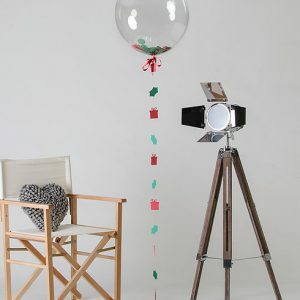 The balloon will arrive in a cardboard box and will float out gently giving it that wow factor.